Ready To Go From Here To Hired? From Here to Hired is designed to guide and support U.S. college graduates like you as you identify a meaningful career that fits with your personality, interests, goals, and objectives. Traditional advice and cookie-cutter methods barely scratch the surface, most often send you down the wrong paths, and generally do not result in you finding your dream career. Getting hired for the right position requires a significant shift in your mindset and actions. ArcVida will guide you through this. Are you ready to find and land a professional job – anywhere in the U.S., that is a great fit for you? We invite you to complete the Discovery Phase of our services for the deeply discounted price of $10. When you register for the trial, you will have access to the entire Discovery phase of our service – including private client work, social network peer support, daily answers to your specific questions, and weekly live coaching. Discovery generally takes our clients 10-12 hours over 2-3 weeks. It is valuable work that will provide you with the clarity and direction you need to begin accurately assessing which careers will be a good fit for you. 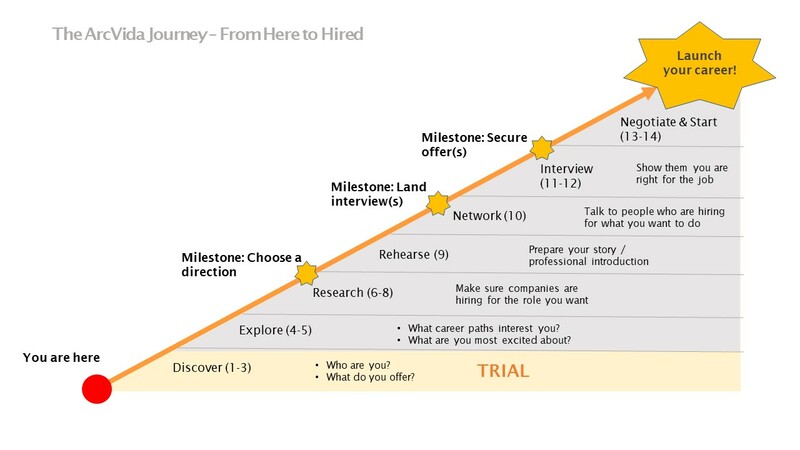 Once you complete the Discovery phase, you’ll better understand how ArcVida can make the difference between finding “just a job” and a job you love. 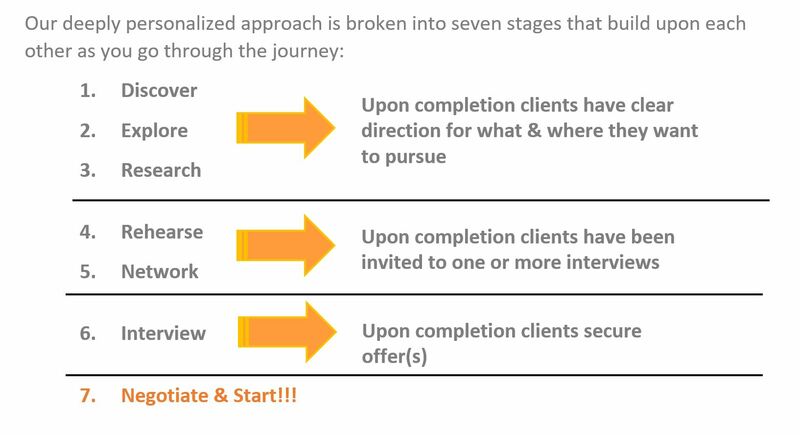 If you choose to continue working with us following the Discovery phase, you will be invited to join our full program and complete the 6 additional phases that will result in you landing your perfect job. Below is an overview of the full service. If you choose to continue, you will get everything above in addition to the personalized guidance and support for just $795. With this investment, you will continue to receive personalized guidance and support UNTIL you are hired. We will be by your side the entire way, no matter how long it takes. Join the trial today and let’s get started on your professional journey together. Still have questions? See FAQ or contact us at support@arcvida.com.